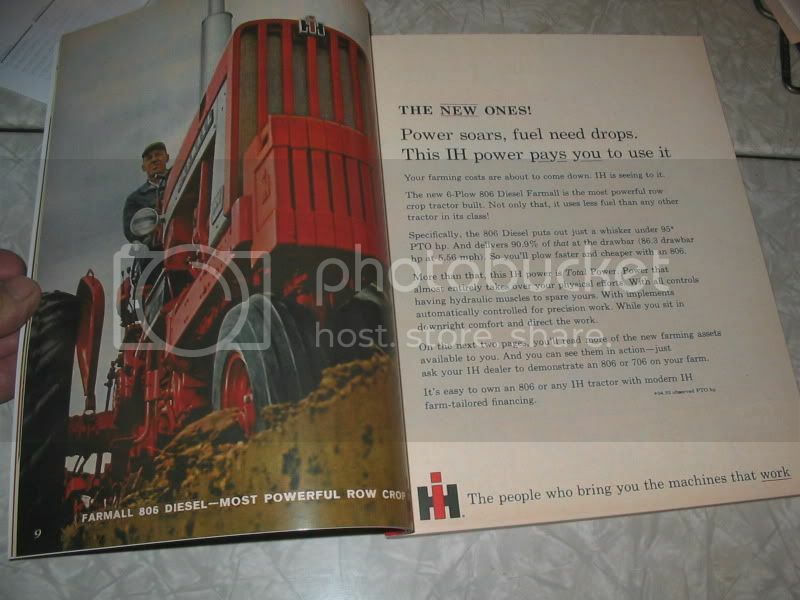 Everyone can use a little help locating good manuals or books that cover the old tractors we love so much. Let's post reviews of the manuals, books, and publishers of both, that we both like and dislike. Share the knowledge that has come with your experience. Thought I'd start things off with a quick vote of approval for this book. Mr. Swinford does an excellent job of covering the history of the company and the development of the tractors. Nice b&w photos of older tractors and implements along with discussions about the developments of both. Some good color photos of equipment from later years. Worth the money if you love AC or just want to know more about the history of the company and the industry. This is a hardcover book that has a nice binding as well, so it should be durable. 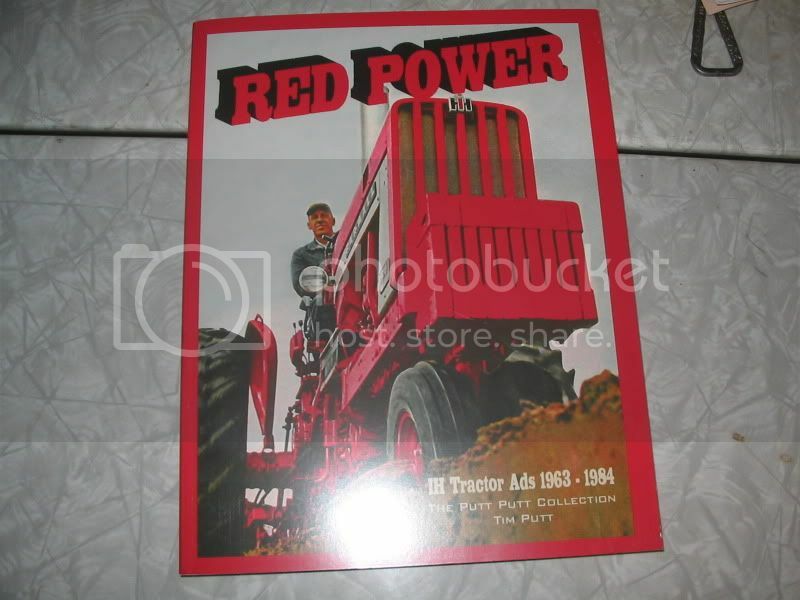 If a copy of this manual were mailed to every owner of a Liftall equipped tractor there would be a twenty percent drop in the postings at YT's Farmall Board. When I got the M out of her 13 year Slumber I bought the owners and repair manual for it through Binder Books. Then I Bought the Lift all manual. What a great Manual to have....other than some folks being too Cheap to get the manuals I can't see owning equipment and working on the stuff without manuals. I did Add a Saginaw 3 point to my lift all on the M and use it for back blading snow removal, lifting with a boom pole and and moving trailers into tight spots. No such thing as another lethargic account of endless facts and figures, this book exudes life itself. From the countless time period photographs to the well written and researched histories of the men and the factories that spit out these smoke belching behemoths you will lose yourself in the drama that unfolds page by page. Starting in the years preceding the great Civil War visionary business men toiled along side the common laborer to smelt the iron and shape it into useful and needed farm machines. Enduring shortages of material, financial woes, fire, drought, and floods they labored on and by success and failure made the mechanization of agriculture what we know today. Men like William Heilman, A. B. Farquhar, Oliver S. Kelly, and more are highlighted, interspersed with pictures that will take you back and lead you by the hand down dusty lanes, past threshing crews, sawmills, and heavy haulage where steam was king. Catch a glimpse of burly men and barefoot boys, bustled women and carefree girls, for after all, it is the people that make our lives large and meaningful. It’s not so much about the machines and the collecting of the same but the friends we meet, the places we visit, and the memories we share. When Howard posted his thread on this book, I had to order it. And, now that I'm half through the book, I think you do too. For $15.00 or so, you won't be sorry. Find it on Amazon.com. Cowboarders are a special bunch. They appreciate history, avoid modern spin, and recognize real quality when they see it. It's as real as it gets. It says something about Nebraskans, and Americans of that time. The people Bob Greene interviewed for the book are in their 70s and 80s now, and they're disappearing. The book was published seven years ago. Howard, you must feel special that you live a stone's throw away from a town where such generosity and history occurred. Curtis is mentioned on page 41. Wellfleet has to wait until page 69. As most of you know, this is the story of the North Platte Canteen, the Union Pacific depot in that town that was a 10-minute stop for troop trains eastbound and westbound across the country. Lots of trains. Up to 20 a day. All hours of the day and night. Year after year until the War ended. People from North Platte met EVERY train, EVERY day of the War, with sandwiches, fried chicken, sandwiches, fruit, pickles, cakes and cookes, and an ourpouring of affection. They wanted to let the boys know that they were appreciated. Just a 10-minute stop. And the volunteers never missed a train, from 5:00 am to midnight, every day of the War. The effort started on Christmas, 1941. And didn't stop until the war was over in 1945. None of the effort was supported by the government. Not one penny of public money. All was from the people themselves. In all, those Nebraskans served 6,000,000 servicemen in that time. That's 6 million, from a town of 12,000 residents. With help from surrounding communities too. Some of those servicemen never came back from the War. Many of them did, and the book is full of their accounts of the Canteen, along with memories of the women (many of them girls at the time) who volunteered there. Howard, I didn't shed a tear till page 14. Then again at 32. I'm about halfway through the book. The writer Bob Greene and I were classmates at Northwestern University. Did I know him? Regrettably, no. It's a large school. But I remember that Bob came to NU with a reputation for a guy that was going to go places. (Like Peter Strauss, in the School of Speech/Theatre school.) Bob was the editor of the "Daily Northwestern," and when he graduated, he went immediately to work for one of the majors in Chicago--Tribune or Sun-Times, I don't remember which. He came from Columbus, Ohio, I think. Bob Greene is an American treasure. He has spent his career writing about everyday America. Common people. People like us on the Cowboard. The names of the people who performed this miracle should be known, and celebrated, as American heroes. It all began with a gal named Rae Wilson. She should be a national figure, along with the thousands of people who made this place a reality. Regrettably, the North Platte Canteen, and the depot itself, is gone. Demonished in 1973 by the Union Pacific Railroad, when passenger service there ceased. As Scotc in his journeys mentioned, the only thing left there on Front Street is a flag and a plaque. Bob Greene found the same thing. That's a travesty. A mistake. If I were really rich, I would build a new depot and Canteen. That place and its history is as important as the USS Arizona memorial or the Iwo Jima statue. And it's gone, except for people's memories and Bob Greene's book. Here is the link David. I have read it before and want to do so again. I just ordered a copy. There is not an old man in this area that does not remember his mother or grandmother sending food for the "boys". Everybody got involved. One young lad, John Slattery would go to the North Platte sale barn a couple times a month and literally sell "the shirt off his back" to raise money for the Canteen. I read this book a year ago. Got it for Christmas 2010 from my daughter. Very fun book to read. Enjoy it.